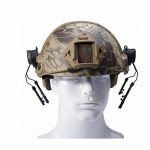 ★ By testing, Comtac I and Comtac II headset can be combined perfectly with this headset adapter. 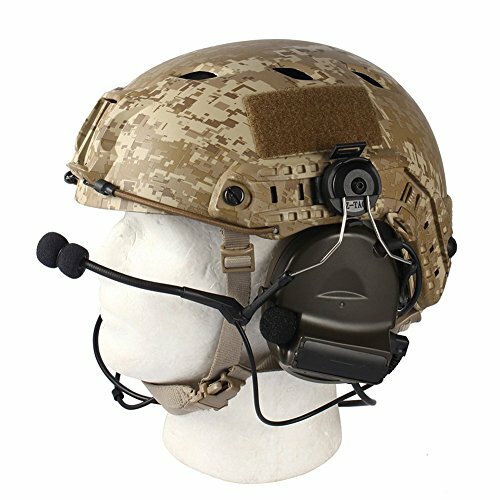 New version headset adapter can match with full range of FAST helmets (BJ, PJ , MH), ACH helmet, MICH helmet , IBH helmet, as long as they have ARC rails on side. ★ With the hanging after the Comtac intercom headset, headset will be separated out from the arc-shaped headband, used on the card directly to the hanging chain. 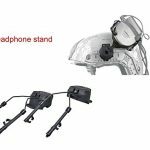 ★ Hang buckle can be fixed to the helmet on the 2 sides of the helmet rails, after installation, the Comtac headphones headset can rotate freely. 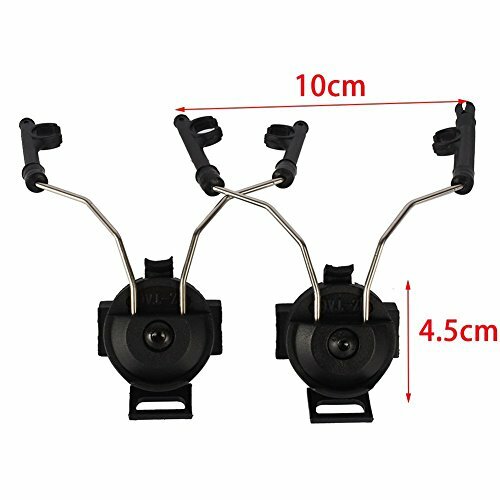 Rotating design allows headset to swing up and out of the way when not in use. 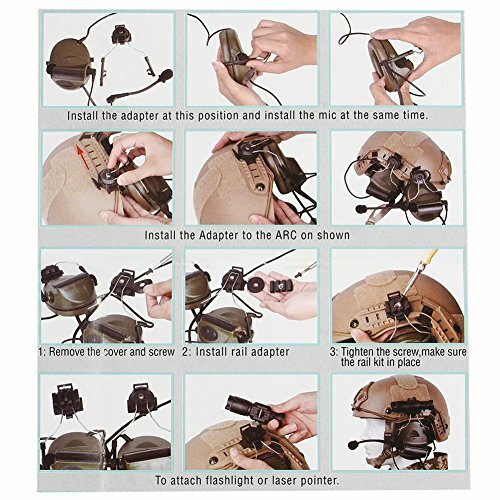 The adapters work perfectly for Comtac style head phones. 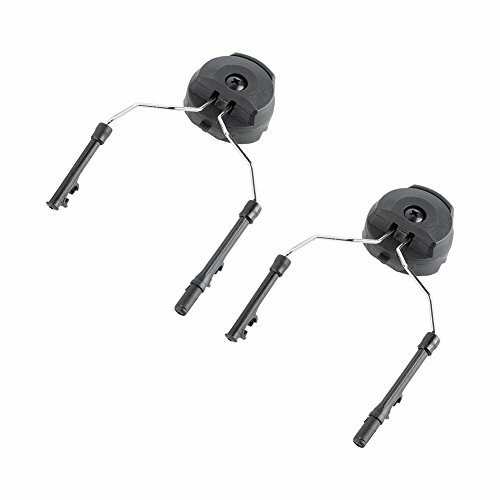 They do require some assembly, mainly removing the ear muffs from the head band and then snapping them to the adapters. 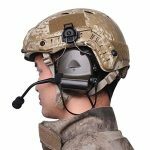 Well connecting headset to helmet. Bind the headset line to top of the helmet, then use tape to fixed on top. 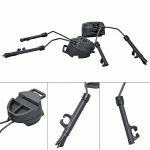 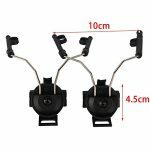 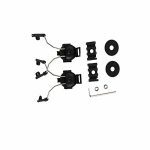 ★ Headset Helmet Adapter ARC Rail Adaptor can match with full range of FAST helmets, ACH helmet, MICH helmet as long as they have arc rails on side. 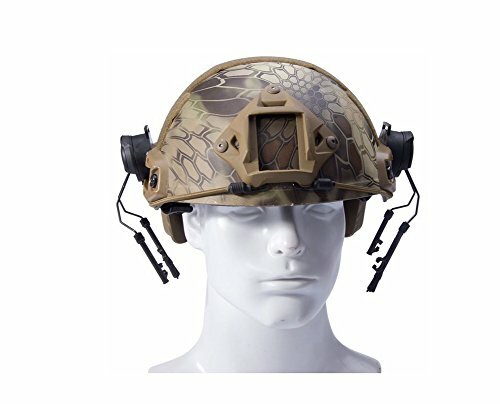 Attach your communications headsets directly to your Tactical Helmet ARC accessory rails. 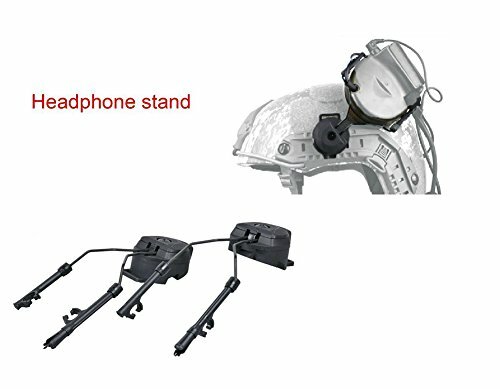 Improves the comfort and protection of your helmet, you no longer have to fight for space inside your helmet or remove helmet pads to fit a headset. 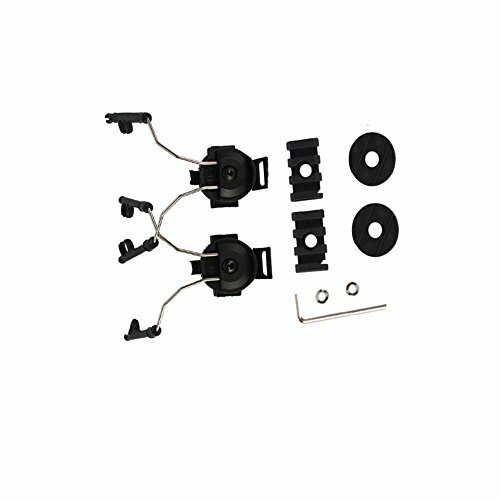 ★ Require some assembly, mainly removing the ear muffs from the head band and then snapping them to the adapters.